Join Us At One Of Our Events. They're Free And Open To The Public! Our stages pop up all over the place: school auditoriums, community center cafeterias, even parks! Find out about Everybody Act! events open to the public by clicking on the tabs above! To find out more click the image above! In New York City, LGBTQ people from different generations have had few opportunities to connect. They have splintered into age-segregated micro-communities, robbing them of opportunities to weave a common history and share strategies both have used to survive and thrive. 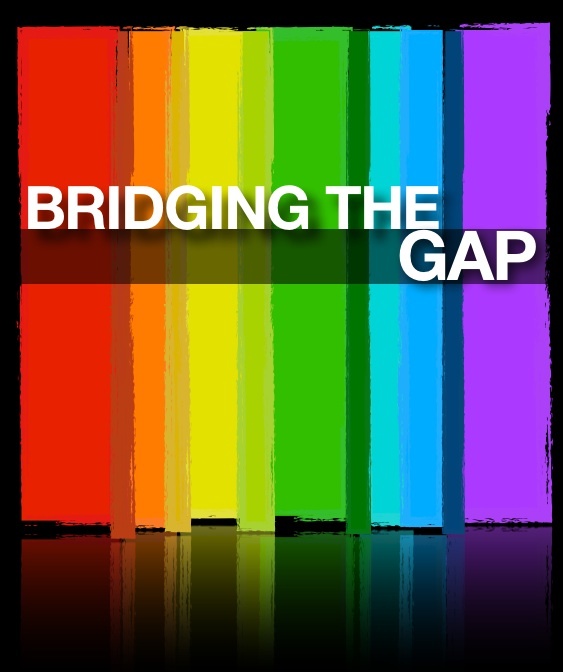 Bridging the Gap is a community-based intergenerational theatre project designed to address this problem. 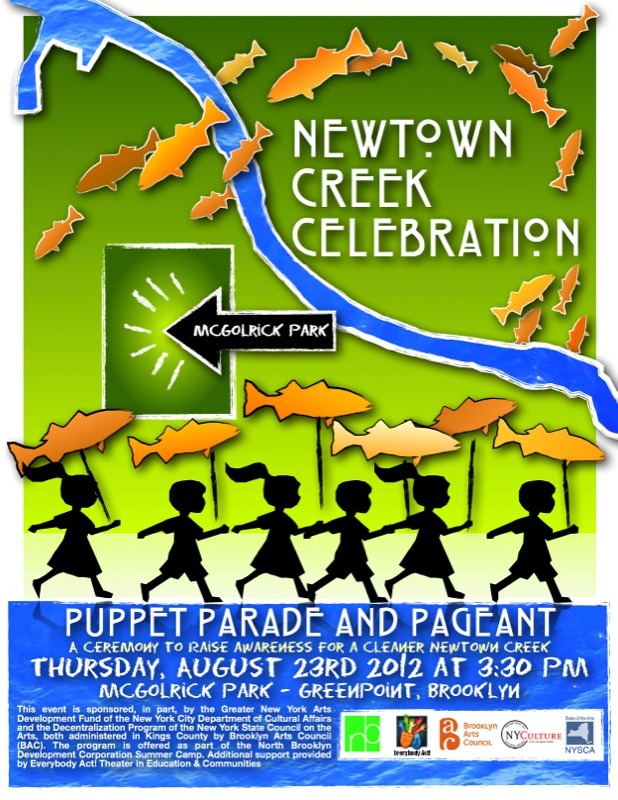 August 15, 2013 @ 3:30 p.m.
Newtown Creek Celebration is a community-based visual and theater arts program that offers young people the opportunity to gain puppet-making, improvisation, and theater performance skills. The project culminates in a community-wide celebration consisting of a procession of the puppets through the neighborhood to McGolrick Park and a performance of the original theater pieces created by the young people. Project objectives include: heightening awareness of environmental issues around Newtown Creek; encouraging stewardship to protect natural areas; building visual arts skills through puppet and mask-making; increasing teamwork through group theater-making; exposing youth to various ways an art project can be “greened”; and enhancing the quality of neighborhood life by offering an arts celebration that brings together different community sectors. Find out about our past events by clicking the tabs above! 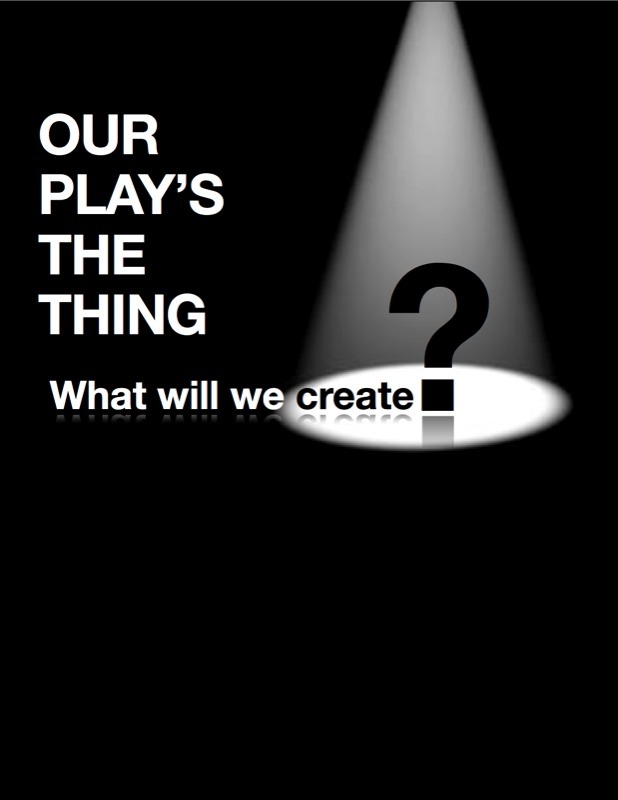 Our Play's the Thing is a concentrated two-week theater program for adults over age 60, who will create an original 30 to 40 minute play. The inspiration for the play will be a physical object such as a box, a key, or a shoe. The group will investigate their associations to the object through activities like storytelling, improvisation and reflection to create scenes which incorporate the object as a thematic motif. and promoting both physical and mental health. Utilizing a physical object as inspiration has the added benefit of providing a tactile entry point to stimulating memory in older adults. The project will culminate in a public performance held at Young Israel of Forest Hills Senior League. August 23, 2012 @ 3:30 p.m.